There are actually some blessings to simply telling your kids to leave you alone and go play by yourselves. Aside from the obvious "break" for mom, your kids just might surprise you how they spend that time. Cecilia decided that her stuffed bunny, one we made for her when I was 9 months pregnant with her at Build-a-Bear, inspired her into making up stories about him. So much so, she decided, all on her own, to write a book about him and draw her own illustrations. 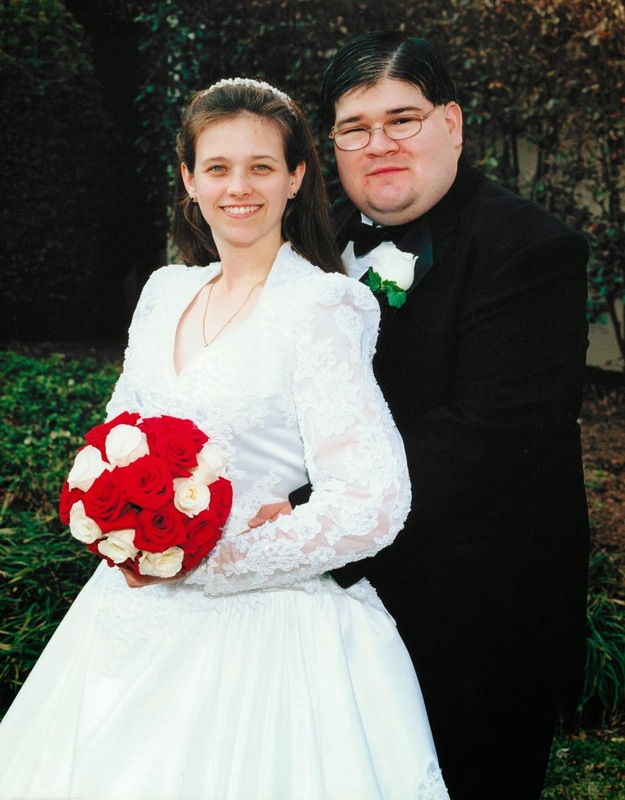 The only word I ever helped her spell was "written". 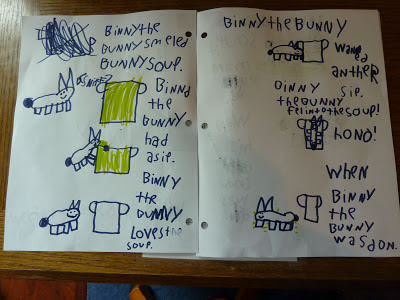 "Binny the Bunny smeled Bunny Soup. 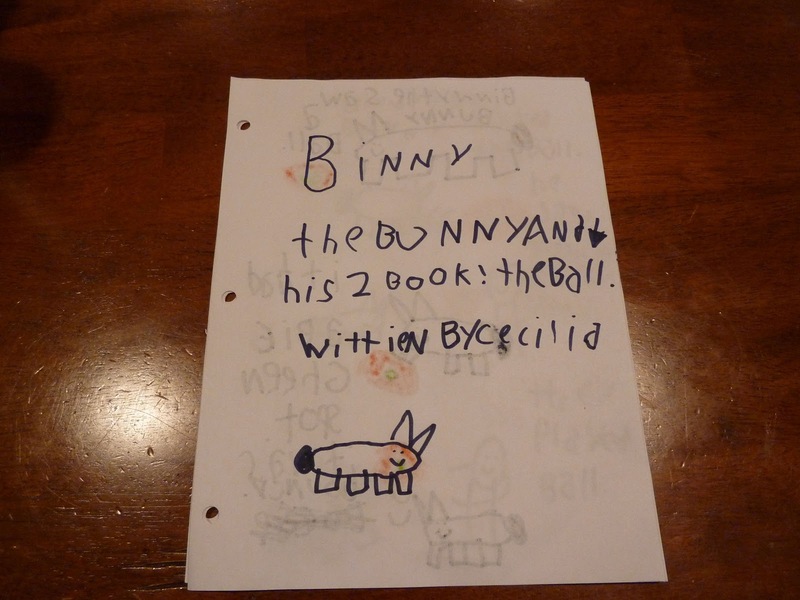 Binny the Bunny had a sip. Binny the Bunny loves the soup. Binny the Bunny wanted anther sip. Binny the Bunny fel into the soup! Oh No! 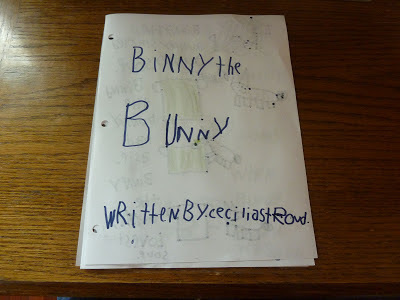 When Binny the Bunn was don." 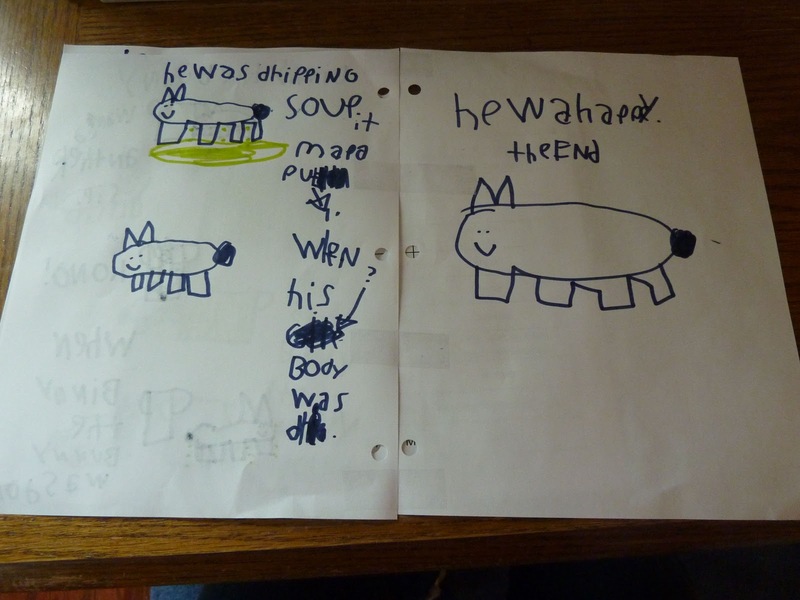 "he was dripping soup. It mad a puddl. When his body was dry he was happy. The end." The real Binny in the soup bowl. 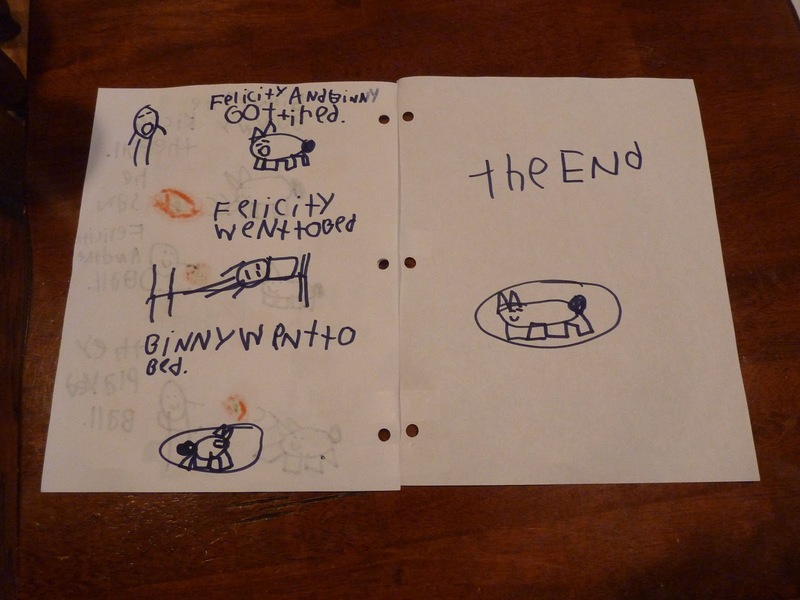 Her book was met with such accolades from her sisters, parents and grandparents, that she wrote three sequels. "Binny the Bunny and his 2 book! The ball. 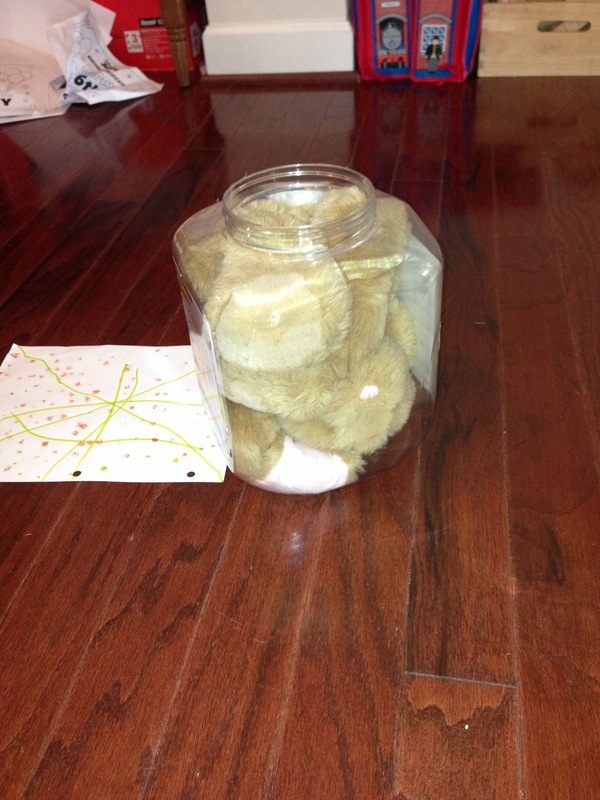 Written by Cecilia." "Binny the Bunny saw a ball. It had a big green spot. It was bouncy. 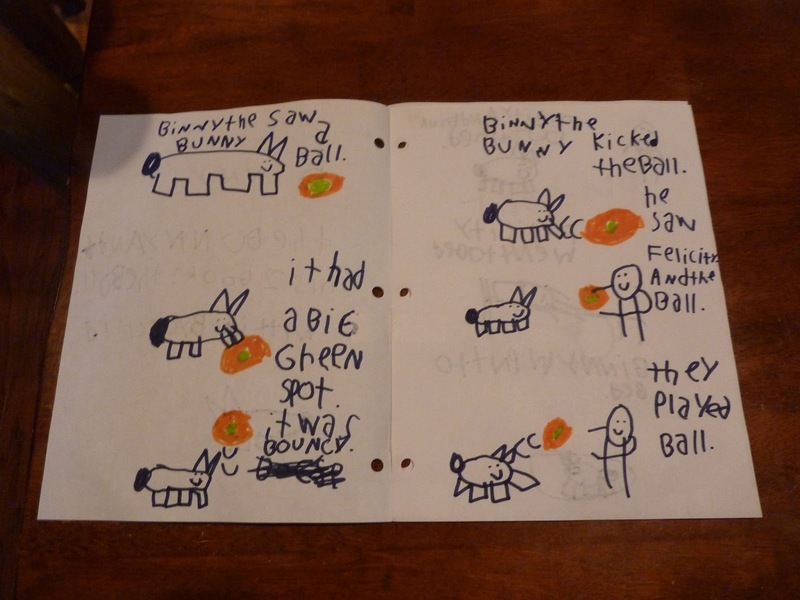 Binny the Bunny kicked the ball. He saw Felicity and the ball. They played ball." "Felicity and Binny got tired. Felicity went to bed. Binny went to bed. The end." 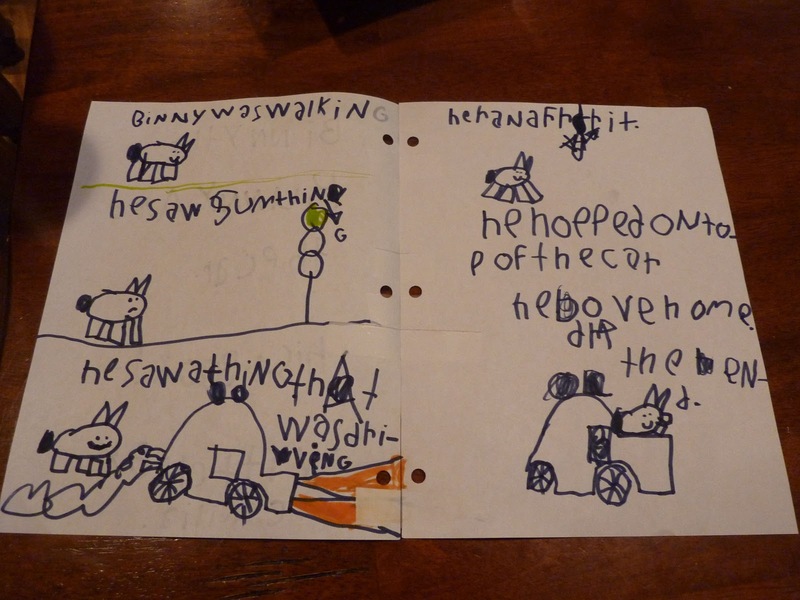 I admit they may not quite rival the latest John Grisham or Dean Koontz, but, for a 7 year old, I'm quite proud. 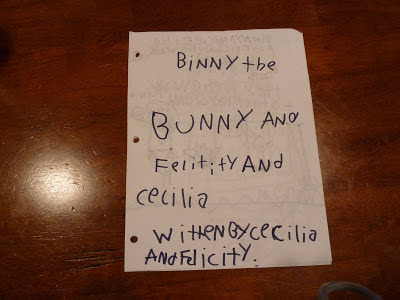 "Binny the Bunny and Felicity and Cecilia. Witten by Cecilia and Felicity." Apparently this one was co-authored. 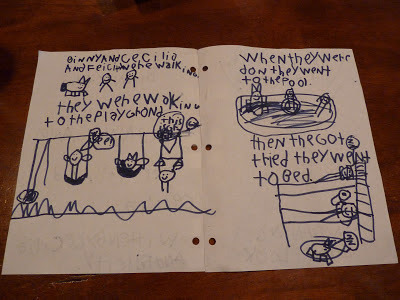 "Binny and Cecilia and Felicity were walking. They were walking to the playgrond. This is great. 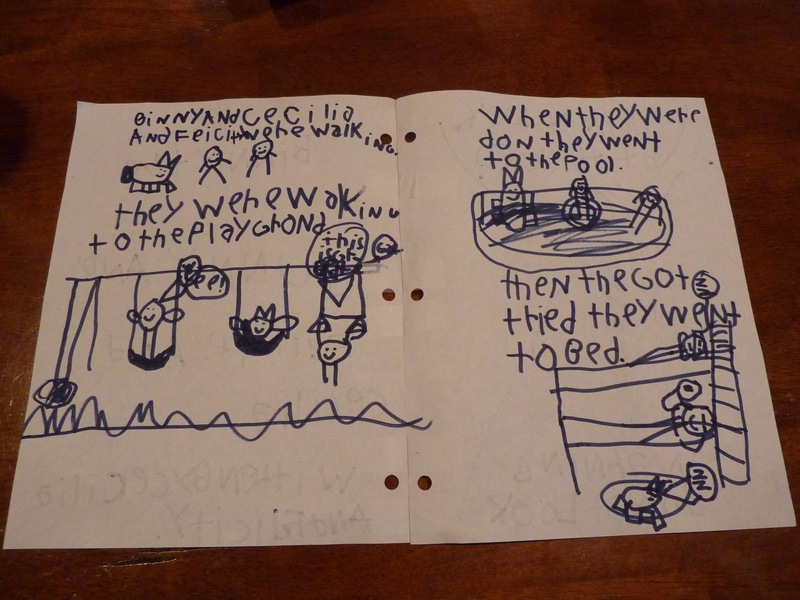 When they were don they went to the pool. Then the got tried they went to bed." 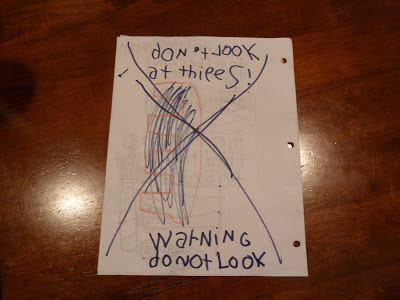 "don't look at thiees! Warning do not look" Apparently she needs a better publisher. 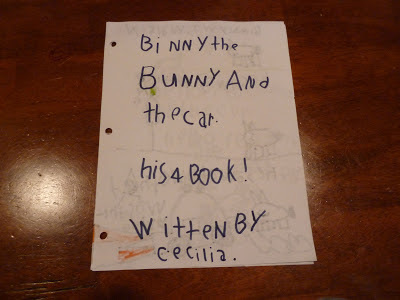 "Binny the Bunny and the car. his 4 book! witten by cecilia" For the record, I only told her how to spell "written" for the first book. I may stink at spelling, but I know that one. "Binny was walking. 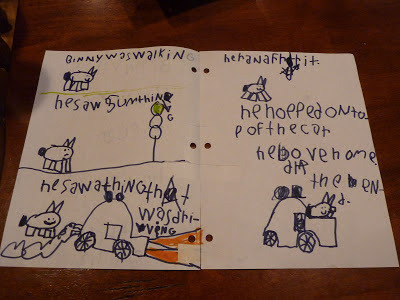 He saw sumthing. He saw a thing that was driving. He ran afrr it. He hopped on top of the car. he drove home. the end." 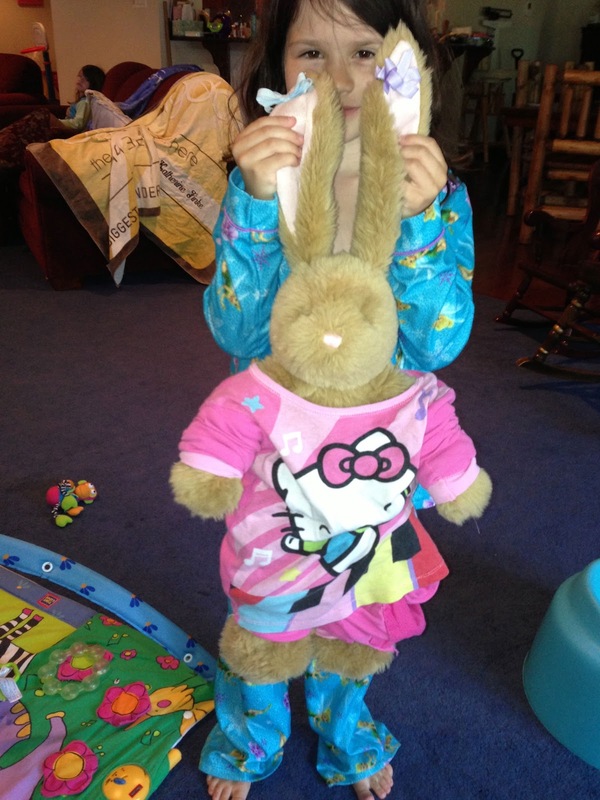 This morning, Cecilia decided Binny needed a make over. She isn't sure yet if Binny is a boy bunny or a girl bunny, but her target audience can't wait to see what Binny is up to next!